To give a suggestive demonstration of the formula for the volume of a sphere in terms of its radius. A sphere is a perfectly round geometrical and circular object in three-dimensional space that resembles the shape of a completely round ball. A Diameter is a straight line passing through the center of a circle or sphere and meeting the circumference or surface at each end. 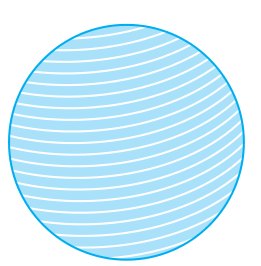 Radius of a sphere is a line segment between the center and a point on the circle or sphere. The volume of the sphere is defined as : V = ⁴⁄₃πr³. In this equation, "V" represents volume and "r" represents the radius of the sphere.